We provide a range of services for California commercial furniture dealers centered around office furniture installations. At a high-level, that includes providing installation teams, short and long-term warehousing solutions, managing delivery & other logistical pieces and then ensuring all of those pieces interlock perfectly using a team of dedicated project managers. For end-users, we provide ongoing furniture inventory asset management as well as cleaning & refurbishing solutions. 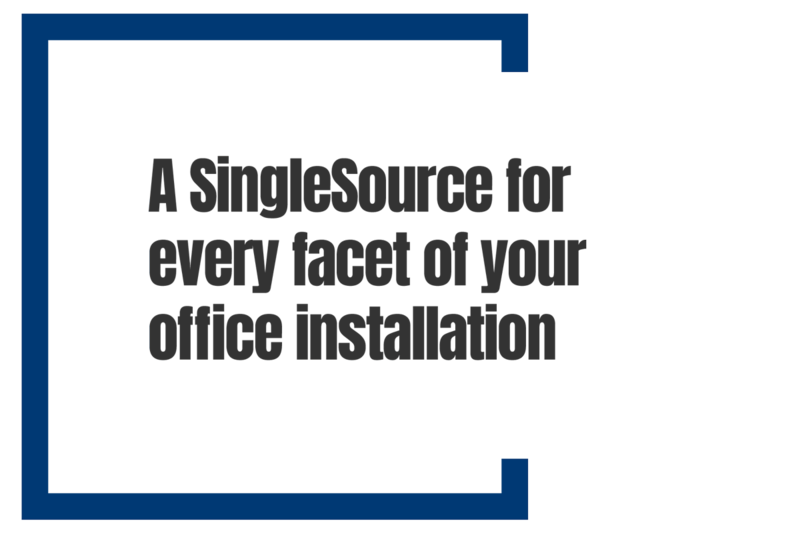 Looking for an office installation or furniture warehousing partner? We completely respect your inbox. That means you're not going to get lots of spammy sales emails. Once in a while (probably once a quarter), when we've got something we think you'll find interesting or pertinent to the industry, we'll share it with you. No Spam. No Junk. Just the occasional industry insight. We're Single Source - Bay Area installers of commerical furniture. We work with Commercial Furniture showrooms & dealers throughout California. In addition to offering an incredibly professional staff of the best installers in the industry, we offer a range of complimenting services that help projects go smoothly from warehousing and logistics to project and asset management. Whether you're in the early stages of a large project or need an immediate quote on something pressing, our team is here to help you.